Item Number: 266-7-822 19381 Actual Weight: 0.3 lb. 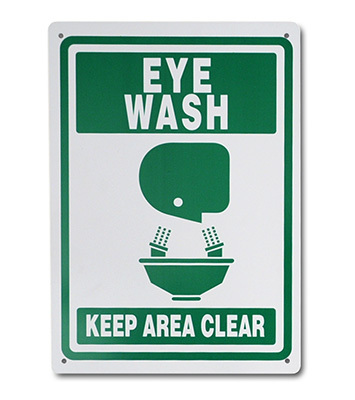 OSHA compliant safety sign directs people to where emergency eyewash stations can be found. 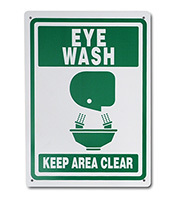 Heavy-duty 60 mil sign has 4 corner holes for installation.